Watermelon Jolly Ranchers do not taste like watermelon. The same applies to watermelon blow pops and watermelon licorice . To me, the flavor of these candies is as close to the taste of a real ripe watermelon as a McDonalds burger is to an all beef hand-formed hamburger patty. Likewise, you don’t find many watermelon cakes and cupcakes that taste similar to watermelon. Most so-called watermelon cupcakes are cupcakes that are designed to look like a watermelon – not taste like one. I wanted to make a true watermelon-flavored cupcake. Step 1: Make a watermelon syrup. I found a small article by Kate Mullinson a webpage about recipes from the past that described the process for making watermelon syrup. Kate had made the syrup and suggested that it might work well in a baked good. I decided to give it a try. Sadly, the watermelon syrup did not make my cupcakes taste like watermelon (more on that in a future post), but that doesn’t mean that the syrup wasn’t a success. 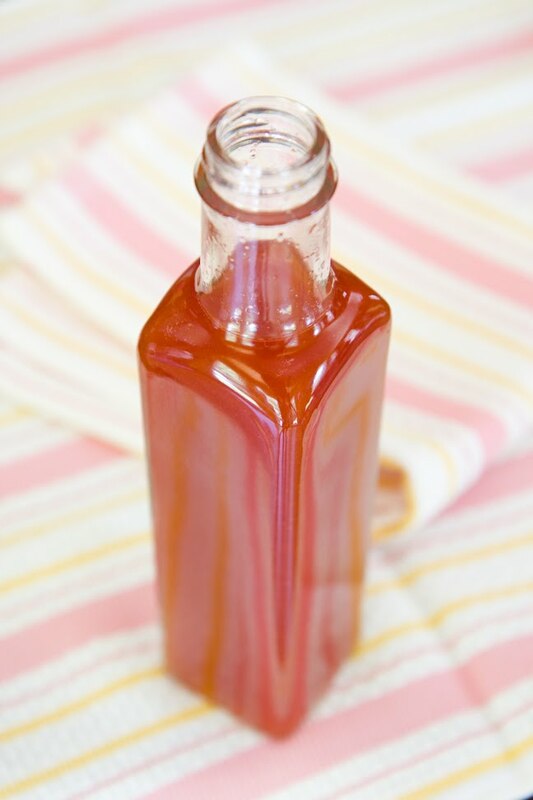 The watermelon syrup captured in a little red bottle the true essence of one of summer’s top fruits. It tasted just like real watermelon – which isn’t surprising, since watermelon is the only ingredient. As Kate suggested, homemade watermelon syrup would make a great gift for a foodie friend. Use watermelon syrup on pancakes, in popsicles, in oatmeal, or anywhere you would use a sweetener. However, my favorite use is watermelon soda. Here’s how to make watermelon syrup, plus details on the watermelon syrup byproduct that may be even better than the syrup itself. Cut the watermelon into small pieces and throw it in a food processor (you’ll probably need to do this in batches unless you have a really big food processor). Process until it’s liquified. Simmer the watermelon liquid in a large, heavy-bottomed pot on medium-low heat for eight hours, stirring periodically to ensure that the syrup isn’t scorching. 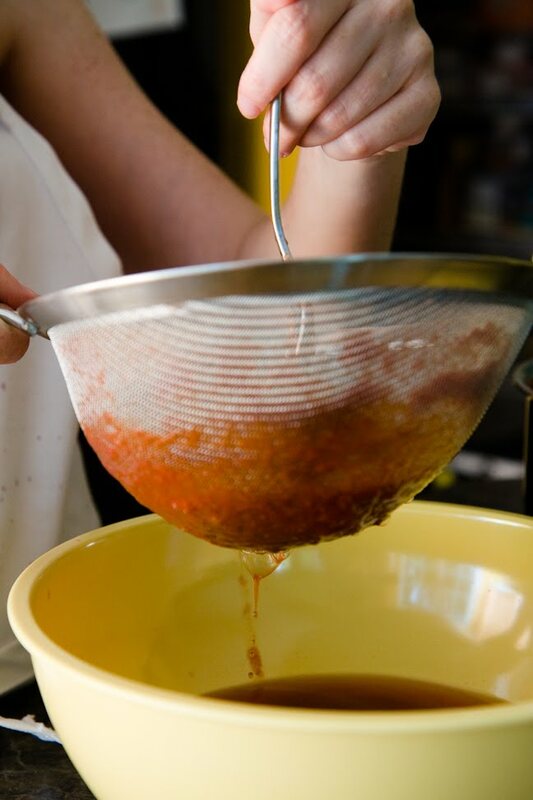 Strain the syrup in a sieve. Keep both parts – the smooth red watermelon syrup and the thick watermelon pulp. 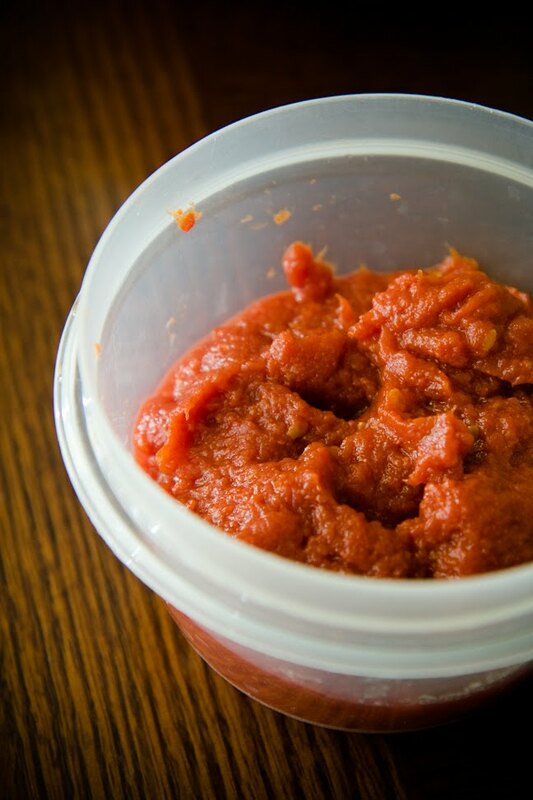 Use the watermelon pulp (I call it watermelon butter) as a spread on fresh bread – it’s summer’s apple butter. You’ll completely surprise and impress your next summer party guests!